This stunning book is as informative as it is beautiful. Older kids and adults alike are guaranteed to leave its pages with a far greater understanding of the workings of the human body, while being in awe of its complexity. Intricate die-cut illustrations take the reader, layer by layer, deeper into the body, with each body part clearly labelled. In the second part of the book, our organs, senses, blood, bones and joints are looked at in detail via a combination of simple explanatory text and more illustrations. 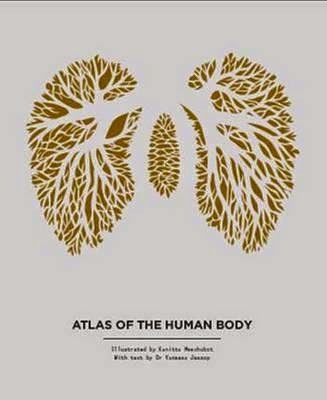 Atlas of the Human Body is ideal for the budding doctor or scientist in the family, but it's also a useful quick reference for any biology student.